Note: This page focuses on businesses that need graphics. However, most of what I’ll share also applies to anyone or any association that need graphic design help, be it for business cards, logos, headers, flyers, or anything else that falls under this category. Do you know why do some advertisements work but others not? Of course there are many reasons for this. But we can all agree that one of the reasons is good graphics. Think about the time you saw a poster for a music festival that you ended up going to. Or how about being torn between different brands of chocolate milk but going with the one with a nicer logo. Or that time when you logged onto a website because the graphics on the advert was so eye-catching that it made you want to. Get my point? But graphics are expensive, right? Well, not necessarily – it really depends what you want and the complexity of the job. If you hire a professionally accredited graphic designer, then expect it to be expensive. Not only are you paying for their expertise,you are also paying for their costs to use advanced programs. This does not only applies to adverts, but even other needs such as making a flyer, poster, business card, or resume. You see, most professional graphic designers use highly advanced programs from the Adobe suite, such as Photoshop and Illustrator. These programs, while being the most well-known and highly-developed, cost an obscene amount to purchase! And not only that, they are also resource intensive and make their computer work harder and run slower. The graphic designer has to bear these costs, which are then passed onto you! This is where someone like me comes in. I can do graphic designs for a lower price because I don’t use the Adobe suite. The program that I use (Youzign) is web-based and less complex. Compared with Photoshop or Illustrator, the only constraint this has is its limited capability when it comes to certain “special effects” such as embossing or airbrushing. Apart from that, it can pretty much perform all the basic functions of the Adobe suite. There is also another compelling reason to pick me. You see, I have access to a wide range of templates that I can edit straightaway. That means that I don’t need to waste extra time creating something from scratch. It also means that I can give you ideas and samples if you really don’t have anything specific in mind. Ultimately, of course, the decisions would be yours, and I will respect that. So how much expertise do I have? Well, how long is a piece of string? I can’t and won’t claim to be an extremely creative individual, but I will let my work speak for itself. Pretty much every graphic on this website (and all my other websites) were made by me, of course with the exception of individual photographs. From this you can probably tell whether my work matches up to your standard. Trust me, I have access to A LOT more than just these, and in many more categories too. There’s heaps! It’s really like a treasure chest. And of course they are customisable! Now the next question you will most likely have is: how and why did I become a graphic designer? To be honest, I did not intend to. I got involved in some entrepreneurial pursuits some time ago and wanted to learn everything from scratch rather than hire people. I did most, if not all of my graphics for the various business projects I was involved with. So, with practice, I got good at it! Look around this site. Pretty much all the images you see were done by me, with the help of templates, of course. So what’s your verdict? Am I good enough yet? But wait…. 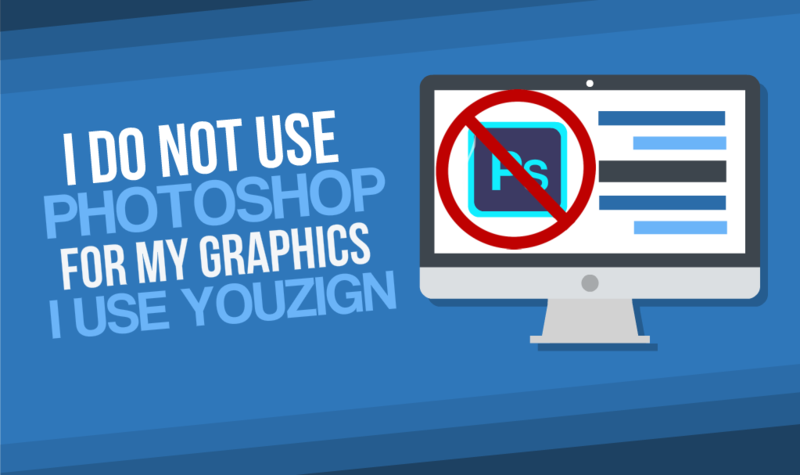 what if (for whatever reason) you need to use Photoshop or Illustrator for a design? Well, no problem at all. Just because I don’t have direct access to a machine with it doesn’t mean that it cannot be done. Just get in touch with me and I’ll refer you to my business partner who has instant access to it and he will handle it. Issue resolved! ps. Professional firms will probably charge twice as much, no kidding…..